The process establishment needs to develop standard method for collecting, analyzing and documenting process of continuous improvement for Quality system. The organization prepare procedure to establish a standard method for implementation of quality management system. The phase of implementation covered the collecting documentations, analysis, chart and mapping . Documentation are managed various levels of analysis, and continuous improvement of quality management system. A standard methods are established to communicating process information. Implementation of various process stages of production lines, quality inspection and auditing, raw materials to final stages of product should maintain quality of product. Packaging are needs to establish standard methods where all the steps are accurately perform on the production lines to meet the quality requirements. Customer technical and end application suitability, mean the procedure is applicable at the all stages, levels to covered quality management system and All activities. The top management is responsible for the implementation of the all related activities according to procedures. To identify the qualified personnel with the documented training are allowed to perform as per standard procedures. This is initial requirements of quality management system. The management team and all the department personnel are responsible for managing the planning and implementation of each process stages. To determines goals and achievements of the objectives for improvement of quality management system. Monitoring on the each product / process to collecting the results of the audits. Non-conformance from the internal audits, to implement quality system requirements accordingly. The team should be defined the objective for the reductions percentages and expecting is in time frame. The quality and production team should be frequency monitor on the activities, analysis collected information to identify the current situation. That is efficiency of each machine, process and resources where general objective can be possible to reduce like scheduling downtime, labor shortage, minimize breakdown percentage that helps to overall efficiency data. Another important improvement needs in the customer concern. Where reduction of the number of product and services complaints should be considered. Top management is needs to personally involvement in each customer feedback to easier for reduction as defined target. 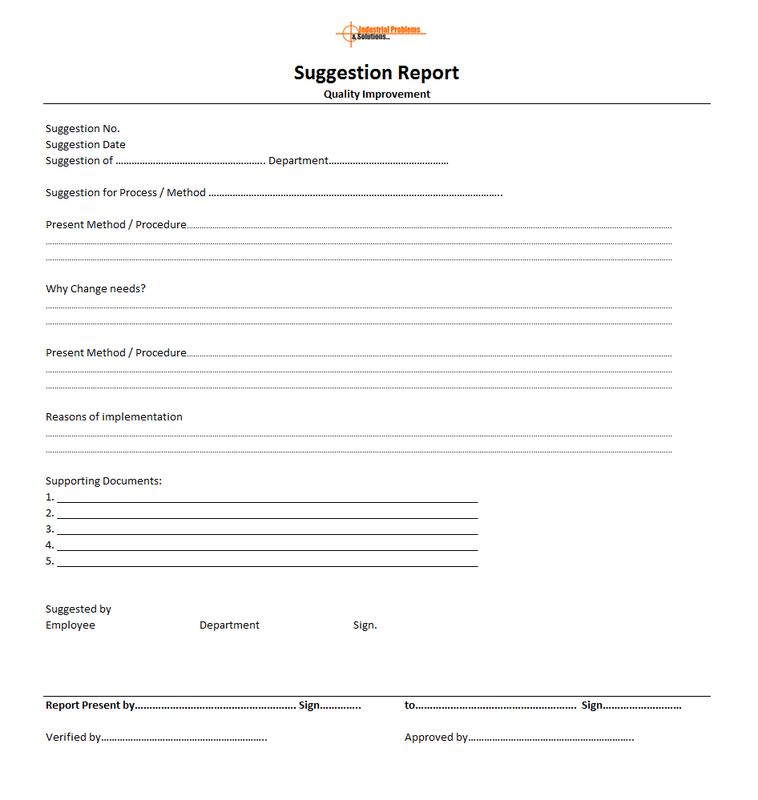 Improvement suggestions, suggestion report are prepared and documented as per standard formats system, and improve accordingly, and the improvement suggestion reports manage to enhancement for appropriate requirements which is directly impacting on the internal management system that is quality management system, so the top management team are taken as prioritized to raise that. All the points that raise for implementation are conducted on base of the approvals from the management to implementation and time manner, if the improvement suggestion report is not approved from top management than the record the reasons for disapproval.